The Hate Debate of the antivaccination cult–Actually, this article wasn’t written by Professor Reiss, but by me. It’s about the character and Ad hominem attacks, sometimes creepy and racist, on her. Despite the fact that her articles are intellectual and balanced, the only response from the antivaccine cult is hate speech. Evidence that you’re anti-vaccine–Bob Sears’ personal attacks on Paul Offit–Professor Reiss takes issue with ad hominem personal attacks by Bob Sears against Dr. Paul Offit. Sears claims he’s not antivaccine, but still uses the same old hate-filled personal attacks on Dr. Offit that all of the antivaccine groups use. Refuting one of the tropes that Andrew Wakefield was wronged–The cunning fraudster, Andrew Wakefield, gets his own category, since now that his “science” has been shown to be a fraud, all that’s left is the law. In this article, Professor Reiss deconstructs the myth that because Wakefield’s partner had some charges dropped, that applies to Wakefield. It doesn’t. Andrew Wakefield keeps trying–another appeal–More Wakefield stuff. He tries to sue a medical journal. Litigating as a “debate” tactic? Andrew Wakefield’s appeal denied–Wakefield tries to use the legal system to debate his views on vaccines. It doesn’t work. Vaxxed misinformation – legal remedies for those harmed? Wakefield and his minions behind the fraudumentary, Vaxxed, could possibly be legally liable for harm to children of parents who are convinced by this film. Vaxxed emotional appeal – putting kids at risk. Are you going to see Vaxxed? Here’s a handout that you can give to fellow moviegoers to refute some of the misinformation being presented. Andrew Wakefield tries to invent a story and fools Robert De Niro. For like a day. Religious Exemptions for Vaccination–Abuse and Reform–A review of how the so-called religious exemption to vaccines has been abused so that individuals can get exemptions to vaccinating their children, despite the fact that no mainstream religion is opposed to vaccines. Court upholds school policy denying religious exemptions to vaccines–Yes schools can deny religious exemptions in certain cases. Hobby Lobby and Religious Exemptions: The Good, the Bad and the Ugly–The recent Supreme Court ruling called “Hobby Lobby” may have some unintended consequences for religion-based vaccine exemptions. Hospital employee vaccinations – employment discrimination and religion–An examination of a recent case where an employee was able to claim employment discrimination based on a religious exemption to vaccines. It may not be what it appears to be. Immunization requirements neither discriminate nor segregate. Some claim that statutes abolishing exemptions from school immunization requirements – like SB277 in California – are discriminatory or leads to segregation. No they don’t. California SB 277 vaccine legislation protects children. The California Senate has proposed legislation that will eliminate personal belief exemptions which will protect our children from the risk of disease a minority has been allowed to choose for the rest of us. Vaccine Informed Consent, Mandates and Liability. The state does have the right to mandate vaccines, and informed consent isn’t what the libertarian anti-vaxxers think it is. Italian Court Blames Autism on Vaccine–Relies on an Unreliable Expert–An Italian court decides vaccines cause autism. Italian courts have done this before. They also tried to have geologists arrested for not predicting earthquakes. It’s hard not to laugh. Maine Coalition for Vaccine Choice legislation–bad premises, bad law–Ginger Taylor, antivaccine nut job, Wakefield apologist, and general lunatic, tries to get Maine to change its vaccine requirements. Professor Reiss begs to differ. Homeopathy, Honesty, and Consumer Protection–Homeopathic vaccines. I kid you not. The freedom to not vaccinate in France–a court case–No, courts cannot decide science. Success and Failure of Anti-Vaccine Legislative Efforts, 1998-2012–The good news and not-so-good news about various legislative efforts ongoing regarding vaccines. Merck, Mumps, Motions, Whistleblowers–the actual story–Debunking the oft-repeated trope that Merck lied about the efficacy of their mumps vaccine. Improving Immunization Rates: What Can the Law Do?–Potential tactics and strategies to change vaccine policy. Health Care Workers, Flu Vaccines, and Work Place Discrimination and No faith–vaccines, religion, and healthcare workers–Healthcare workers and mandatory vaccine policy. And do hospitals have to provide religious exemptions. Recouping the costs of outbreaks of vaccine preventable diseases–Who might be legally liable for the costs of vaccine-preventable disease outbreaks. Price v. HHS: Statutes of Limitations, Tolling, Vaccines and Autism–A complex legal decision that denied an appeal to a vaccine court refusal to compensate a so-called vaccine injured victim. Parents, Children, Loss of Custody and Immunization–Oddly, an antivaccine couple insisted that they still had the right to refuse vaccines for their children, even after they lost custody to the state. That this is an actual legal case is shocking to me, but Professor Reiss explains it. Anti-Vaccine Claims, Misrepresentation and Free Speech–Antivaccine claims and legal free speech protection. Another interesting review. Natural News gets it all wrong about mandatory vaccinations–Part 2–Natural News gets it wrong. Anyone shocked? Italian MMR-Autism Decision Overturned–No, vaccines do not cause autism, and Italian courts decide to reverse an unscientific decision in a lower court. Yes, herd immunity works–the title says it all. The child’s best interest – vaccines and parental rights– a review of a recent court case involving divorced parents. One wanted to vaccinate and provided evidence why he should. One wanted to avoid all vaccines and provided bad evident why she shouldn’t. Maryland private schools can exclude unvaccinated children – Professor Reiss reviews a recent ruling in Maryland that gives private schools and daycares the right to exclude unvaccinated children to protect other children from vaccine preventable diseases. This is good news for those of us who want to protect the lives of children. Flu vaccination and health professional employment benefits – although it may note completely fair, a hospital can fire someone for not getting the flu vaccine, and potentially not pay any unemployment benefits. Healthcare worker flu vaccinations – fair accommodations. A review of the hospital’s obligations to healthcare workers who refuse flu vaccinations. Vaccinations and custody issues. An examination of a Michigan case where an unfit parent cannot decide to refuse vaccinations for her children. SB 277 lawsuit – baseless anti-vaccine complaints. California’s SB 277, a law that restricts personal belief exemptions for vaccinations, is the subject of a lawsuit. This article was revised with more recent information, California SB277 lawsuit – updated, but still baseless. Anti-vaccine harassment – can you sue for libel? Can someone being attacked publicly by an anti-vaccine activist sue that person? Sure, maybe, probably not worth the trouble. California SB277 lawsuit analysis – anything there? – Another lawsuit and temporary restraining order was filed. Professor Reiss looks over the both the constitutionality and facts presented by the litigants. Vaccines. Autism, Italian Court of Cassation – they get it right – A couple of lower court decisions in Italy got big news in the anti-vaccine press. Unfortunately for their tropes, Italy’s highest court said vaccines and autism are unrelated. California’s SB277 mandatory vaccine law – preliminary injunction hearing. A review of the hearing to decide if SB277 should be temporarily blocked. Vaccine mandates promote human rights by protecting children. Looking at the rights of children with respect to vaccines. Judge denies request for SB277 preliminary injunction. A Federal district judge determines that California’s SB277, which makes vaccinations of school aged children mandatory, should not be enjoined from proceeding. A win for our side. The Whitlow lawsuit against SB277 was withdrawn. After the anti-vaccine plaintiffs couldn’t get the preliminary injunction, they gave up. Influenza vaccine mandate – court strikes down regulations. A New York City mandate for the flu vaccination was struck down. But the court gives advice to resurrect it. HPV vaccine and lupus – bad expert testimony in a lawsuit – another lawsuit against Gardasil, based on a long debunked claim. Child Pays Price for Anti-vaccine Misinformation–Anti-vaccine misinformation says that measles isn’t dangerous, but a child who died from a neurological complication of measles might indicate otherwise. Selective vaccine exemptions – measles and schools – a critical analysis of a proposal to maintain available of personal exemptions to vaccines (along with their abuses) except for measles. 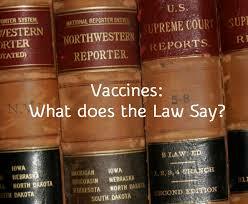 Law and Vaccines: List of Dorit Reiss’ Blog Posts and Articles. Professor Reiss maintains her own up-to-date list of articles she has written about vaccines, many of which are on other websites. Editor’s note: This article was originally published in January 2015. It is regularly updated to include new articles published by Professor Reiss.